The Last of Us will become a movie? There are some games, which are so perfect and rich that it would be nice to turn them into a movie. It seems that Sony has decided to do the same thing with its most successful this year's action-adventure with survival horror elements - The Last of Us. However, it is just a rumor. A few days ago two new websites that are connected with The Last of Our movie appeared. TheLastOfUs-Movie.com and TheLastOfUsMovie.net domains were registered by Mark Monitor, but the email of registrant hints at Sony Pictures - an American movie production studio and a branch company of Sony. The fact that Japanese conglomerate is interested in such domains indicates the great news - The Last of Us movie may be under development just now! However, we don't have any official confirmation or comments from Sony, so it is a little bit early to make a statement. Moreover, maybe, Sony is just protecting the brand. And what do you think about The Last of Us movie? 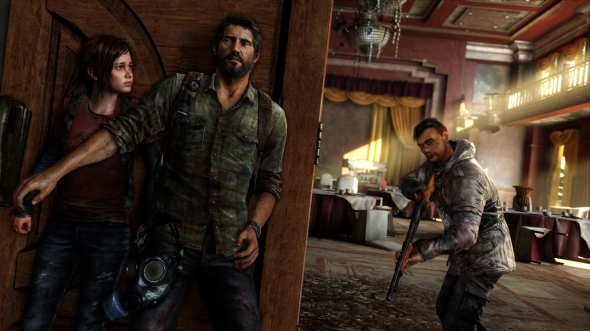 Would you like to see the adventures of Joel and Ellie on the big screen or it is better to play their roles, using your console? Your comments are always welcomed at the bottom of the page.